So this year a lot of the Devonald clan are celebrating birthdays ending in a 0, so we thought a big family holiday would be a great way to party. 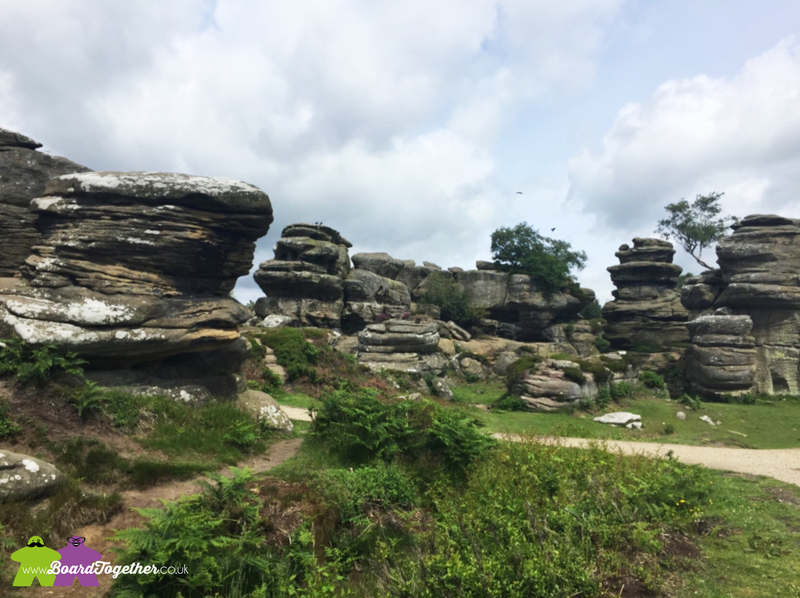 Being split between Bristol and Scotland we figured the half way point of Yorkshire made sense. 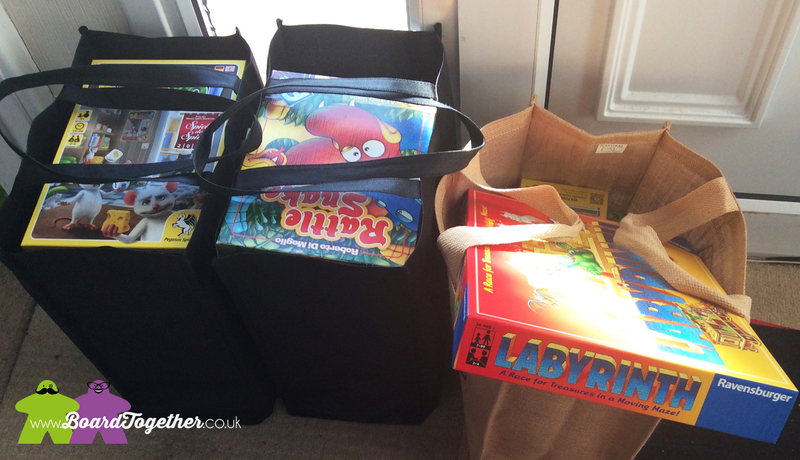 We had a giggle, three bags worth of games and barely a hole visible on the shelf’s! With three year old Noah, seven year old Jack and plenty of adults we took an eclectic mix of games to keep everyone amused. Including a copy of Minecraft the card game? 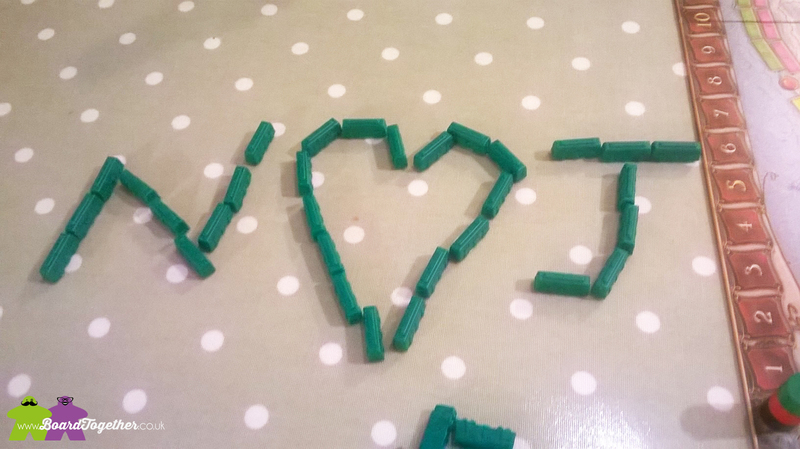 Turns out Jack is the BIGGEST Minecraft fan ever. Every conversation with him eventually turned back to Minecraft, lol. A few games of Munchkin were played during the week, Mike an I avoided them for the most part. Glad we did, the game lends itself to being confrontational and we do not play that way very well. Splendor was also played without myself and Mike – it was great to see games being played where we did not have to explain the rules. 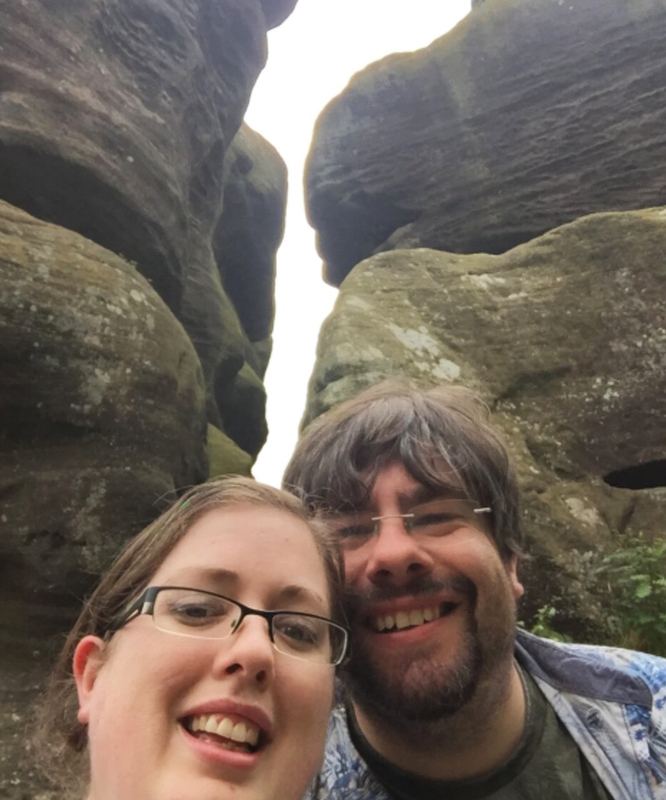 On the Monday we went to York and separated to do our own things. 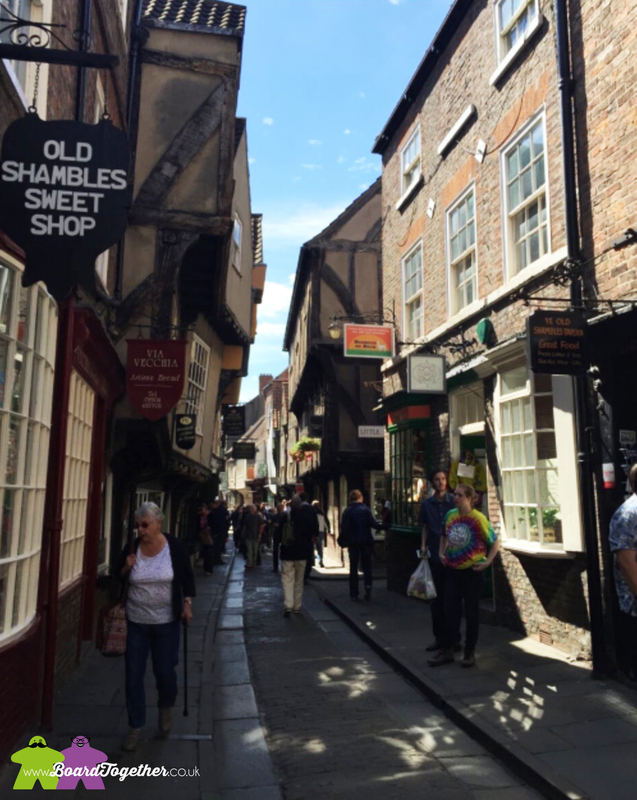 Mike and I visited The Shambles, the oldest preserved medieval street in Europe. Very strange looking and full of cats. If you ever visit, check out the Lucky Cat Glass shop an follow the free cat trail around York. There is a games shop in The Shambles, called OG Games, but it took a long time to open. It had a reasonable selection of games. Any MtG player would be happy in that place! It looked like it also had plenty of space to sit and play games with many games nights advertised. As we were making our way to the first games shop we suddenly heard this little voice yelling “Anny Ammy, Anny Ammy, Anny Ammy” and suddenly there was little Noah running at us to say hello.  Turns out we were all heading the same way and descended on Travelling Man in York as one big mob! 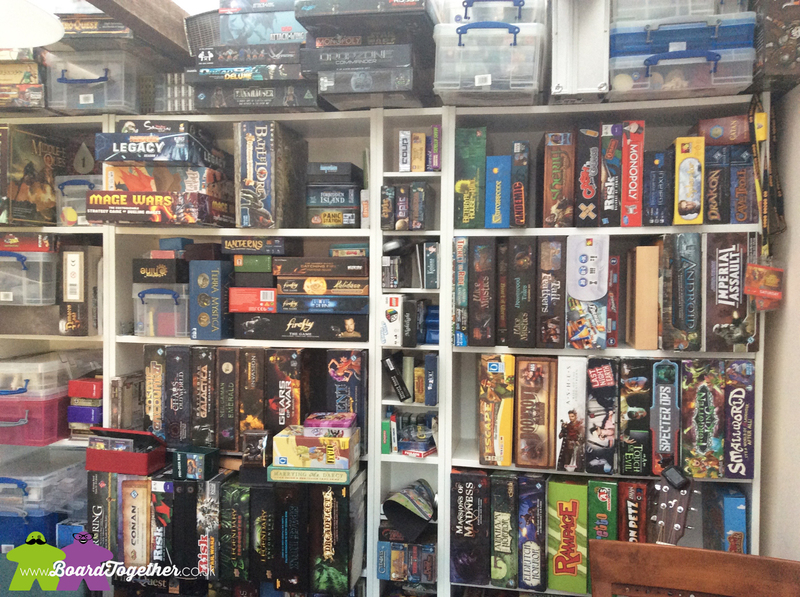 The shop has an excellent selection, from big games like Pandemic Legacy, Formula D and Colt Express, to a nice amount of smaller games such as Love Letter, Munchkin Expansions and Jane Austen’s Matchmaker card game. Mike was beyond happy to find some Savage Worlds RPG books and picked up the party games Spyfall and Codenames so all 9 of us could play at the same time. I was over excited to find new the Stallion Canyon, the Flick Em Up expansion and finally got my hands on Knit Wit. We loved the shop, we spent way too much money and the staff were brilliant, being knowledgeable, approachable and friendly. My only complaint would be the lack of games for younger kids, but otherwise, a great selection for any teen and over. Oh, an the curse of Mike an Tamz on holiday struck again, with a few school trips and York Minster being closed for refurbishment, dang nam it. 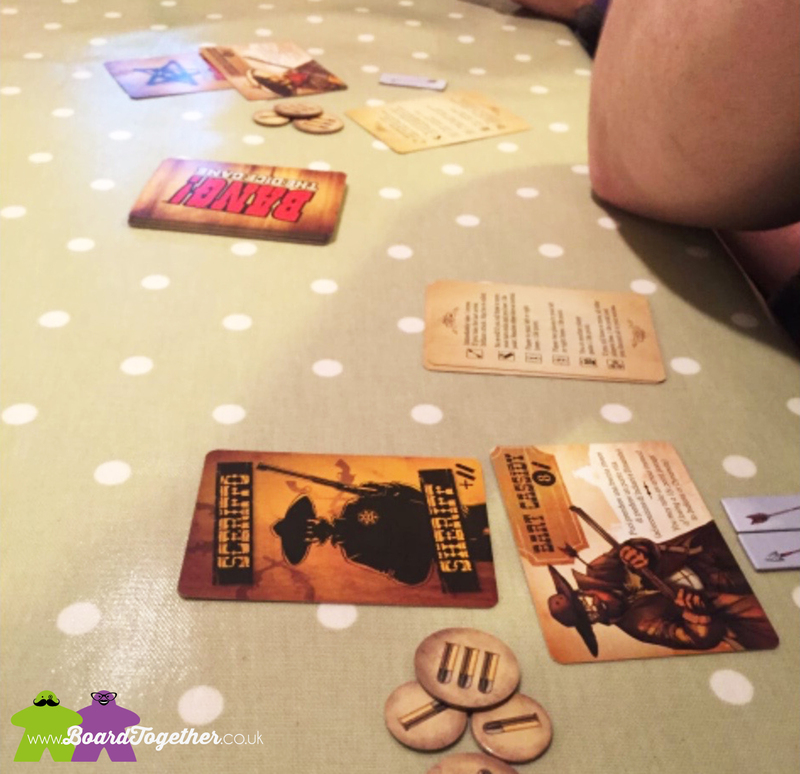 Turns out Bang The Dice Game is a big hit, taking all the elements we love from the main game and streamlining it into a fast paced little game that keeps its charm. 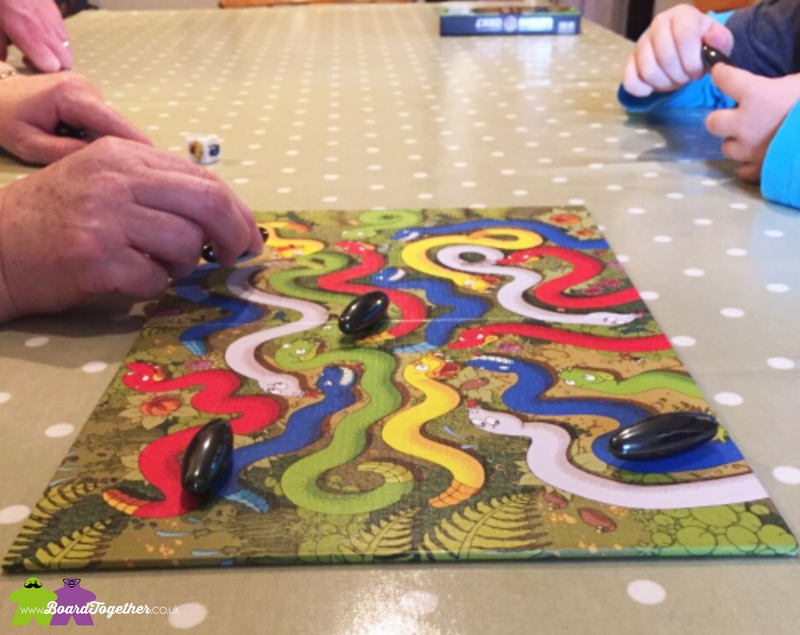 With no cards and just the dice roll, it may have all been over too soon, but we could play again and again without having to learn complicated rules or stopping to read all the cards. Rattlesnake got a few plays, a big hit with kids and adults alike. A fair few giggles and gasps were heard whilst this was on the table! Mike an I spent another day alone and went to an art gallery, then on to Betty’s for tea and cake. It was a bad day. Mike doesn’t appreciate art like Tamz, he spilt coffee all over the place in a very posh Betty’s, then on the moors Tamz realised she had no way to eat her picnic noodles and had to fashion chopsticks from pencils! So we went back to the cottage and relaxed until everyone came back. Julie told us about a kids shop in the local town Skipton that had a small selection of games. Mike did a quick search an found the town actually had two games shops and that we had missed both on the Sheep day the Sunday before!! We blame great distractions like Owls and Alpacas! Mike an I set off to explore the very next day! Now The Present Planners in Skipton is a fantastic little shop. It is a kids toy store, with a small selection of games. But boy do these games pack a punch. The only disappointment was that Mike an I already owned most of the games, so we knew they were all brilliant!! I wandered over to the display of Ghost Blitz and a member of staff gave me time to read the box then ask if I would like a demonstration. So we played a few rounds and of course I picked the game up for purchase!!! Lol. We spoke some more and it turns out the owners of the shop research the games they sell very thoroughly, with trips to the UK Games expo to playtest as well. It showed, the big games were very family friendly and there was a great selection of games aimed at kids. Even better they had a fair few open and ready to playtest. So after finding this little gem we popped off to the next shop. This game shop was more of a place to hang out and play games than a shop. The selection was limited as most of the space was taken up with tables and chairs. Every seat was full, so it was a popular place. Between them the two shops offer everything you need and it was great to see a tourist town offer so much to gamers! 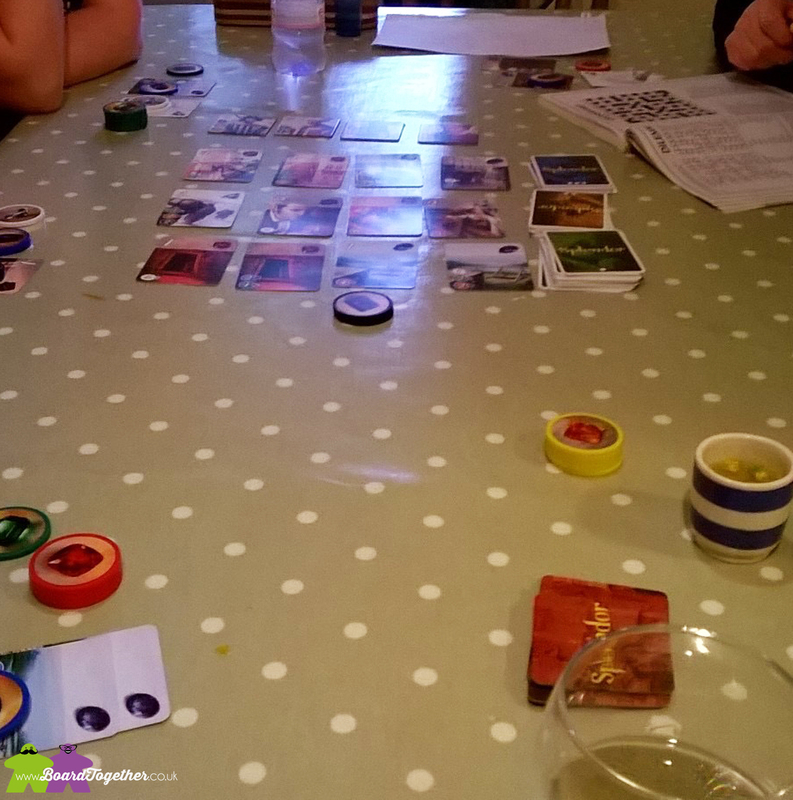 One night Mike broke out Mysterium, a strange but brilliant game. The best thing we did when playing this was to tweak the rules. It was just Mike, Pips and myself playing. Mike gave us an overview of how the game worked and kept things really simple. He would hand us a dream card and we could confer with each other who we thought it belonged to. 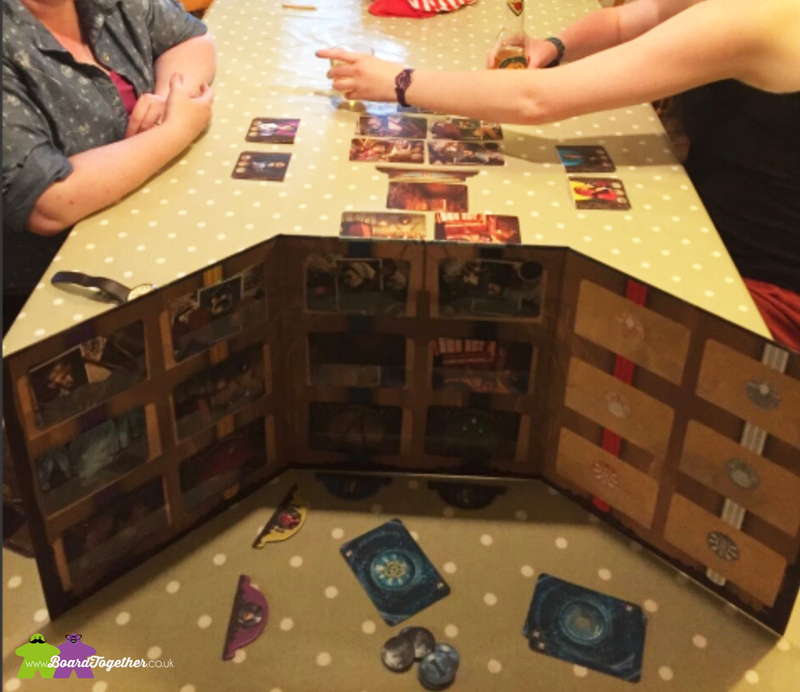 Now, this is not how you play Mysterium according to the rules, however it suited us just fine. Myself and Pips got so excited we played the game three times in a row so we could all have a go at being the ghost. Great fun. Well, the holiday would not be complete without a game of Ticket To Ride. It was introduced to Pips, Nick, Jack and Julie one night, and wow, what a hit. Highlight of the game, the multicolored locomotive cards are now called the ‘pretty’ cards 🙂 Low point of the game, Tamz stole all the routes to Las Vagas much to Nick’s disappointment!! Well, this game was enjoyed so much we broke it out again for the last night to enjoy. By the end it was on Julie’s Amazon wish list and would be purchased first thing when they got home!! We all do it right, play with the tokens, stack them up, make token ‘art’! This time Nick got all sweet and showed how he loves his wife Julie with train tokens, lol. 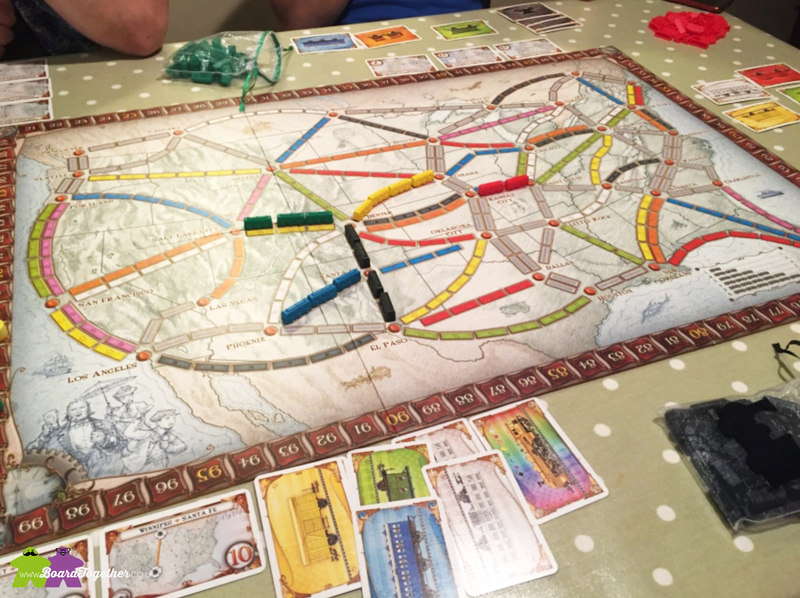 So that’s both sides of the family hooked on Ticket To Ride!